Sitting cross-legged on a pile of pillows Valcav gestures at the three items before you. “Many philosophers claim that it is possible to plan too much.” He sips from a mug of tea and nods sagely. “They say it is best to leave yourself in the hands of fate and trust things will go your way. These three items will allow you to submerge yourself in uncertainty if you simply trust in them.” Valcav sets his mug aside and hands you the first item. The metal of this two-foot long blade glimmers and appears to change color depending on how it is held. A sword of unbound elements has an enhancement bonus of +1. Upon command, the blade of the sword sheaths itself in a band of random elemental energy that does 1d6 damage on a successful hit. Every round the sword is activated roll a 1d4 to determine the type of damage from the table below. Once per day the wielder can invoke the combined powers of the elemental planes by speaking the command word. For one round rather than rolling for a random damage type, the sword of unbound elements does 1d6 damage of each of the four elements. After invoking this power the sword loses the ability to call on extra damage for 24 hours but continues to function as a +1 short sword. After attuning yourself to the sword you are capable of harnessing its elemental power. You can use a bonus action to activate the sword and have it erupt with elemental energy. Every round the sword is activated roll 1d4 to determine the type of energy. When you activate the sword of unbound elements you roll 1d6 extra damage of the determined energy type. Also once per day you may speak a command word to have the sword flare up with all four elements. For one round you roll 1d6 damage of each energy type. After calling upon all four elements the sword loses the ability to roll extra damage for 24 hours. This brown leather belt is inlaid with silver thread and its buckle is adorned with a large opal. Well-rounded belts come in lesser and greater varieties. When worn the belt provides an enhancement bonus to a randomly determined ability score. A lesser well-rounded belt provides a +2 bonus while the greater provides a +4 bonus. Treat this as a temporary ability bonus for the first 24 hours the belt is worn. Every morning when the wearer of the belt wakes up, roll 1d6 to determine which ability score will gain the bonus. This bonus lasts for 24 hours and remains tied to the same ability score even if the belt is removed and put on again. While wearing a well-rounded belt you have advantage on ability checks with a randomly determined ability score. When you put on a well-rounded belt for the first time roll 1d6 to determine which ability score this is. You maintain advantage with that ability until the next morning when you must roll 1d6 again to pick a new one. The belt remains tied to its specific ability score for 24 hours even if it is taken off and placed on again. These clear horn-rimmed spectacles appear ordinary until worn. Anyone wearing them can notice faint squiggles that fall across their field of vision and occasionally form themselves into words. Three times per day the wearer of a pair of studious spectacles can have them magically gather knowledge on a random topic. The squiggles on the inside of the glasses change themselves as facts and information drawn from different sources. The wearer gains a +5 competence bonus on a randomly determined knowledge skill. 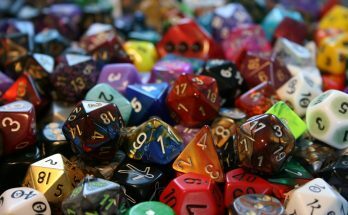 Roll 1d10 to determine the type of knowledge skill. This bonus lasts for one hour or until the glasses are removed. While the spectacles are activated wearer is distracted by the words floating before their eyes. This gives them a 20% miss chance on all attacks. Three times per day while wearing the spectacles you can seek out knowledge and have it displayed before your eyes. You have no control over what type of knowledge is called to the glasses and must roll 1d4 to determine the type. For one hour you may roll with advantage on checks for the randomly determined knowledge type. While the glasses are activated you find it hard to remain focused on the outside world and have disadvantage on all attack rolls.